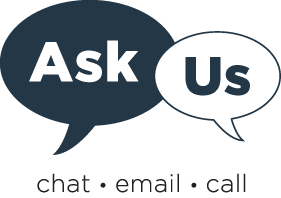 Contact us using the Ask Us form or call 817-735-2070 between 8 AM - 5 PM on weekdays. The FAQ provides answers to frequently asked questions. Database tutorials & help provides a list of handouts, tutorials, and instructions. Research tools provides a list of online tools available to access articles, databases, e-journals, e-books, and more. You will be prompted to login with your UNTHSC username (EUID) and password when accessing subscription resources. Login or create an account to make a request. Select "Distance Education Student" as your affiliation when you create an account. Distance education students are not charged for document delivery. Requests are delivered via FedEx and include a pre-paid shipping label for return. We cannot ship to international addresses. Books that check out for 28 days may be requested. Test preparation materials, reserves, media, and journal issues are not eligible for request. Renew materials up to 2 times if no one else has requested them. Currently enrolled in a distance learning class at UNTHSC. Not attending any on-campus classes at UNTHSC. Live outside of Tarrant County, Texas. Electronic reserves are embedded into Canvas in the Library Reserves module. The Course Reserves - FAQ provides answers to frequently asked questions.